Rajasthan Royals (RR) will play Royal Challengers Bangalore (RCB) in the match no 14 of VIVO Indian Premier League (IPL). 2019. The match will be played at Sawai Mansingh Stadium in Jaipur, which is RR home ground. Both teams have played three pages so far in this season of IPL and are yet to win a match. Rajasthan lost to Chennai Super Kings (CSK) in their last game, while Bangalore got defeated by Sunrisers Hyderabad (SRH) in their previous game. 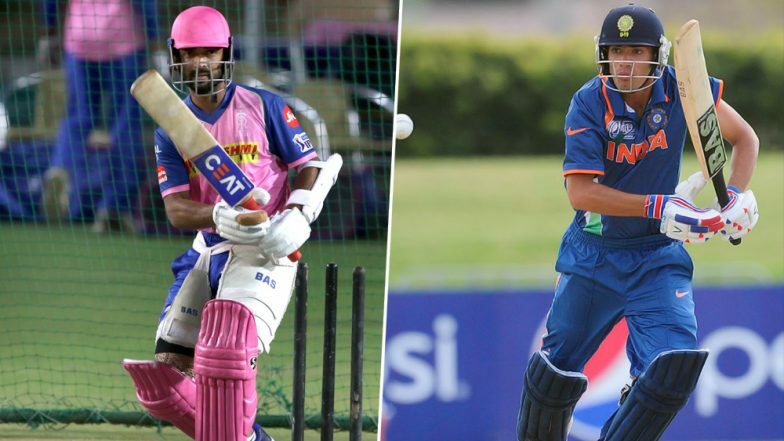 Rajasthan shared a video of their player Prashant Chopra ahead of their clash with RCB, in this video, he has a message for skipper Ajinkya Rahane. Rajasthan Royals vs Royal Challengers Bangalore Live Cricket Score 14th T20 Match. RR has kept a stand-by wicket-keeper batsman Prashant Chopra, just in case if their regular keeper Jos Butler misses out on a game. Prashant plays for Himachal Pradesh in the Ranji Trophy and holds the record of most runs by Himachal Pradesh batsman. Rajasthan Royals bought the Himachal batsman in IPL 2018 auction. IPL 2019 Today's Cricket Match: Schedule, Start Time, Points Table, Live Streaming, Live Score of April 02 T20 Game and Highlights of Previous Matches! Rajasthan will look forward to registering their first win of this year IPL when they play RCB tonight. It's high time when players from both RR and RCB should pull up their socks and try to execute a proper plan for winning the matches. From Rajasthan point of view, the positives are that their player Ben Stokes and Jofra Archer batted well in their match against CSK. The English all-rounder scored 46 off 26 balls while Carribean player Archer played a cameo of 24 runs from 11 deliveries.